On-ear headphones are giving us a specific headphone build, and paired up with some wireless Bluetooth capability and we’ll be presented with a very specific model in need here today. 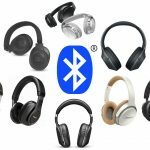 We’re huge fans of headphones if you haven’t been able to tell, so as we survey the many different types of headphones available to the market, we’re met with one of our favorite specifics: Bluetooth on-ear headphones. So which pair is best for me? As seen in the title being the ‘top 10’, we’re honestly not sure which model you’ll end up going with. We did choose a few of our favorites with certain features, builds, as well as in different price-points for you to draw your own conclusion here today. If you’re here through searching, you may already know what on-ear headphones are. Or perhaps you’re still investigating the differences of on-ear and over-ear headphones. This is a very particular pair of headphones, especially when it comes to the actual build (and even more specifically, the ear cups). On-ear headphones bring us a different type of noise isolation. As opposed to over-ear headphones which are a bit larger than on-ear and cover our entire ears like a pillow, on-ear headphones have smaller, more compact cups that rest on our ears as opposed to over them. Both types are going to give you some noise isolation and great listening experience, however which type of headphone will depend on your own personal preference. Although pretty subjective, coming from our perspective, let’s talk about the pros and cons of on-ear headphones. 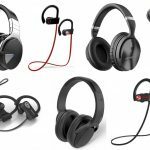 After some soul searching when it comes to what we like as well speaking to as many of our audiophile friends as we can, here are the pros for on-ear headphones: the tighter headphone fit is more comfortable, contains a lighter weight and is less clunky than over-ear (especially if you plan on traveling with these), has better noise isolation capabilities, give a more direct sound into your ears and overall just look cleaner. Others in the con department state that over-ear headphones are more comfortable and can cause less pain (super subjective here — it’ll depend on the pair, especially price), and disallow sound from leaking out to others (only matters if you’re recording or perhaps want privacy). Which is best for you is again all your choice. 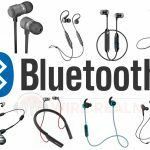 However, you’re here today for a reason, so let’s get into the best on-ear Bluetooth headphones in the market. Up first on our list of the best Bluetooth on-ear headphones is the HD-1, a lightweight pair of headphones made out of premium materials and absolute beastly sound quality. They have a sturdy and professional feel to them are very durable, made of Alcantara which makes wearing these headphones highly comfortable with very little pain after using them even for long hours. There are collapsible sliders, allowing the headphones to fold up and be transported easily, and the purchase of the headphones also includes a transportation bag the keeps the headphones safe when transported. The integrated remote makes controlling volume and answering phone calls easy (yes, built-in mic) and these wireless on-ear headphones produce a high-quality audio experience for the listener. 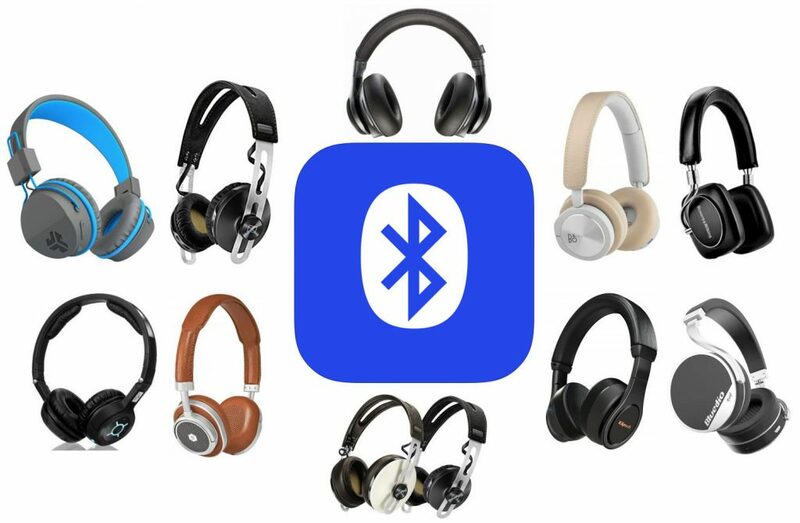 Even with the Bluetooth feature, listening via Bluetooth sounds clear and high-quality with zero latency between your music device and headphones. Technically speaking, the internal drivers combined with 18 ohm Neodymium transducers make the listening experience very flat, giving off clear, detailed, and strong frequency response among the lows, mid and highs. When worn, the Sennheiser HD-1 on-ear headphones cancel almost all outside noise, giving you your much-wanted peace and quiet when listening to music. They’re definitely up there in price, but you’re paying for what you get: a not only premium build all around, but amazing sound quality combined with literal active noise cancellation on top of it all. This pair of on-ear Bluetooth headphones has a much more retro aesthetic to them. They are finished in a brown leader and a silver metal, giving them somewhat of a timeless look. 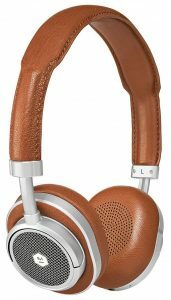 The headphones are extremely comfort due to the soft lambskin ear pads which insulate the memory foam. 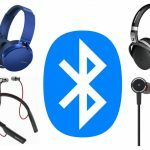 The Bluetooth feature of these headphones uses a Bluetooth 4.1 with aptX to seamlessly connect your headphones with your smartphone or tablet with great quality. There is a 16-hour battery life, which is not that long for a pair of headphones like these but can get the job done if you’re able to charge them on a daily or ‘every other day’ basis. The headphones fit tightly to your ears, blocking out a lot of exterior noise however this being said, they are not uncomfortable or too tight. The high-quality sound produced by these on-ear headphones gives you access to the most detailed aspects of songs, making them well worth the buy if you have a budget slightly higher than our previous HD-1 pick. For a pair of Bluetooth headphones, these produce a surprisingly high-quality listening experience (and should for that price-tag), making the Master & Dynamic MW50S2 another one of the best Bluetooth on-ear headphones on the market when it comes to the high-end department. This pair of Bluetooth on-ear headphones is very sleek and has an attractive, futuristic feel to them. The ear cups are the most notable aspect of this pair of headphones as they are very large and cushioned that rest very well on your entire ear. They have an active noise cancellation technology built into them which helps to remove most of the unwanted noise coming from your environment (with tiny mics on the outside of the headphones that take in the ambient noise and block it from coming into your cups). This allows for a high-quality listening experience as focus is placed on the music, although it ups the price at the same time. There is a 30-hour battery life, much more than the MW50S2, so if that was a concern we’d go with these instead, especially if you plan on going trips where you won’t always be able to charge them (or if you don’t want to worry about it). However, even better, If you are solely using Bluetooth and no ANC, you can get up to 45 hours of play time, which is pretty remarkable for a pair of wireless headphones. This is a long amount of playtime, which leads us to believe that this pair of headphones is one of the best Bluetooth on-ear headphones available if your budget is still high and playing time is a priority. Another interesting aspect of these B&O PLAY H8i headphones is the fact that there is a proximity sensor built into the headphones which pauses your music automatically when you take your headphones off — why not? Let’s look at another high-end pair of wireless Bluetooth on-ear headphones that resembles the Master & Dynamic headphones. These headphones don’t appear very technologically advanced, and look borderline simplistic, however is one of the reasons we love them so much. By the looks of it, there are no larger, cushioned ear cups, making one perhaps question the comfort of these headphones. However, the way these things are built are more advanced than others — there is an even amount of pressure distributed on top of your ear, made of a soft leather-like material. The sound quality of these headphones is also top-notch, as the acoustic signature is the same as the award-winning Reference Series headphones, which embellishes that “monitoring” flat and clear frequency response musicians love, especially when recording or mastering. The high-quality sound produced via these features make these headphones one of the best Bluetooth on-ear headphones available on the market. There is also a 20-hour battery life making this pair of headphones somewhat average in terms of the power that it can withhold, but it shouldn’t be a problem if you’re fine with remembering to charge them up. 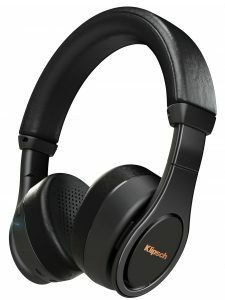 The Klipsch Reference On-Ear are also foldable and the pair comes with a hard-shell zip carrying case, making transporting these headphones very easy at the same time. When we first starting reviewing these, we were blown away at the overall quality and build. But the sound quality of Beyer’s new wireless Bluetooth on-ear headphones here are a huge standout as well. Coming with Beyer’s Tesla technology (higher-quality magnetic drive for better detail and lower harmonic distortion) and an advanced aptX codec for HD audio compression (something not many other Bluetooth devices can do until you get into the price-range of this), you can hear all three frequencies quite clearly. There’s also a nice 30 hour play time, 30 foot range and touchpad controls of the left ear cup. You can skip tracks, adjust volume, accept calls and more with a ‘touchscreen-like’ ear cup that doesn’t boast thick buttons that make it look cheap. For example, sliding right or left can skip tricks, while sliding up or down can adjust volume. 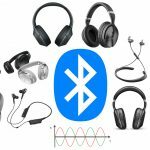 Although not necessarily a ‘must’, this is for those who want higher-end Bluetooth headphones that come features that just make your life easy. The build is also impressive, with leather ear cups and headband, as well as aluminum metal through out for various components. The Beyerdynamic Aventho Wireless are just strictly high-end for those who don’t mind paying almost $500 retail for the best on-ear Bluetooth headphones — you’ll be getting what you pay for, don’t worry. 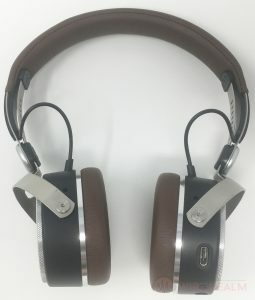 The attention paid to make this experience great is what makes this pair of headphones one of the best Bluetooth on-ear headphones out right now, and at first we glance we some uniqueness when it comes to ear pad build. These headphones boast of a true Hi-Fi sound. The P5 Wireless utilizes the same transducer tech that is used in their esteemed Bowers & Wilkins loudspeakers, and if you’re unfamiliar with the brand, are one of the more higher-end speaker creators or merely speakers in general. The aptX Bluetooth technology integrates your playing devices with your headphones seamlessly, and any unwanted external noise is lost when wearing these headphones, giving you a focused listening experience. 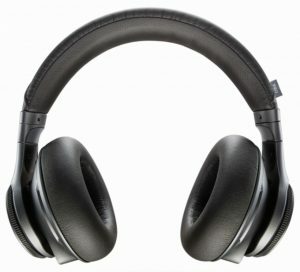 There is a 17-hour battery life when wearing these headphones, not the longest amount of time for a pair of headphones on our list of best Bluetooth on-ear headphones but can get the job done (higher-end headphones have less battery life since there’s more than go into playing the music and processing the audio signals). 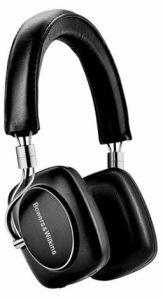 Many people who have written about the Bowers & Wilkins P5 praise the comfort that these headphones provide wearers — there is little chance for ear fatigue when wearing these headphones for a long time. 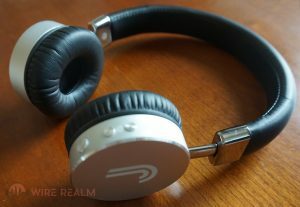 Having just recently reviewed the Studio43 on-ear Bluetooth headphones, we felt the need to include these here as one of our favorite-budget friendly models out there right now. All new from a brand some may not have heard of, we have a beautiful build here (especially for the price): leather ear cups and headband, as well as an aluminum casing to protect those precious drivers. The audio quality is also great in our opinion, coming in very flat to distribute those frequency ranges well — no embellishments. Unfortunately they do not fold, swivel or collapse for protection and travel, but they’re extremely lightweight at about 11 ounces and won’t be clunky on your head at all. The control center on the right ear cup is also very nifty, allowing us to control calls (yes, built-in mic), skip tracks, adjust volume, as well as reject calls with a voice command. The playing time is about 13 hours and will only take 2 hours to charge, and this price, we love the combination it brings to the best on-ear Bluetooth headphones game. Grab the Fanstereo Studio43 if you don’t want to spend $300 to $400 on a pair. Nearing the end of our guide, we’ll take a look at one of the most versatile pair of Bluetooth on-ear headphones on the market. 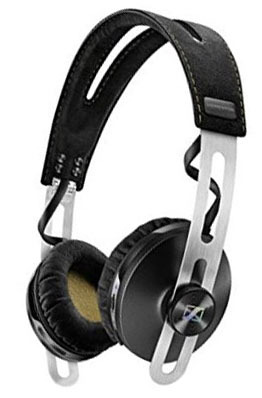 This pair of headphones utilizes a HiFi Bluetooth USB adapter to deliver a smooth and clear quality of music. This feature makes it easy to listen to movies, music, or videos from anywhere from your tablet to your computer (about a 100 meters/330 feet range). There are 24 hours of continuous listening available when using the BackBeat PRO+, which is a decent amount of time for a pair of headphones with such versatile listening functions. 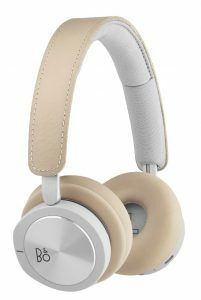 The controls for taking calls (built-in microphone) and controlling audio that are available on these headphones are also easy to use, making these headphones very attractive to users especially if you’ll be using them for leisure use around the house. The on-demand noise cancelling feature of these headphones is high-quality and successfully removes external noise from being heard. The overall build, noise cancellation and flat response enhances your listening experience with the Plantronics BackBeat PRO+, just another top choice for a pair of Bluetooth on-ear headphones. 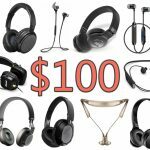 This is a solid pair of headphones if you wanted to save some money as compared to a lot of other picks in this guide. The Bludeio Vinyl Stereo Rotary utilizes a Bluetooth 4.1 feature which provides listeners with a good quality listening experience when their devices are paired with the headphones. The design itself of these headphones is made to be rotational — the horizontal aspect of the headphones makes it easy to collapse and transport them, so if you’re planning on travelling we’d give these a go. The vertical rotation allows listeners to listen to their headphones with only one ear, which is a feature that isn’t necessarily a ‘must’ but can be useful for some (especially DJ’s, or perhaps those on conference calls and need only one ear for the call and the other for your team). These headphones are the only on-ears on our list with a fully rotational aspect, and since that isn’t a huge plus, we list them a bit later on in here. There is a built-in 3D sound technology that strengthens the field to make your sound more stereo. Once turned on, you can hear sounds from all directions, giving it a good overall feel while you bump some tunes. 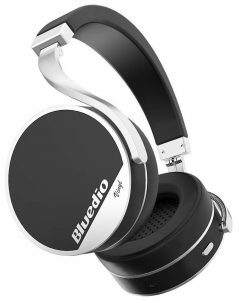 The Bluedio Vinyl Stereo Rotary are aesthetically pleasing and are very comfortable to wear, and aren’t too overpriced, either. Our last pair of headphones stand alone as the most interesting looking pair of Bluetooth on-ears on our list, and are considered extremely cheap and budget-friendly. Most notably, there are different options of color pairings (slate gray with neon yellow, blue, or purple), and look almost like a pair of headphones someone would wear back in the 90’s. We figure we would list these last in case you didn’t want to spend hundreds on your pair (if you made it this far in the list without choosing yet, that may be your case). The headphones have a decent 40mm neodymium drivers as well as JLab’s C3 Sound which provides decent clarity when listening to your music. The headphones have a 13 hour Bluetooth playtime, making them the headphones with the least power on our list, but with that price we’d actually say it’s impressive. 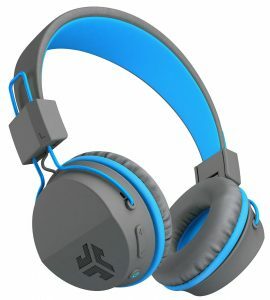 The average quality of sound produced by the JLab Neon On-Ear paired with its surprisingly low price make this pair of headphones one of the best on-ear Bluetooth headphones in the market if you wanted a very simple and affordable pair with no fancy features such as active noise cancellation.